Together they will spread the gift of comfort to those in need. Westlake Village, CA, September 05, 2013 --(PR.com)-- It’s said that within one’s lifetime one of the most emotional purchases a person can make is their home. Homes are safe havens for most; we raise our families there, friends frequent our doors, and it’s a place where memories are photographed and hung upon our walls, but behind millions of these doors are families who are dealing with the illness of their child, and this is why The Radke Agency have decided to join PAWS with Owie BowWowie. Owie BowWowie and Friends is a 501(c)3 that is on a mission to cure loneliness within the heart of a hospitalized child. Each year there are over 20 million children who are diagnosed with a life-threatening illness and 8 million of these children have no family or friends who are able to visit them, and this is when Owie arrives. Owie BowWowie is a therapeutically designed (Comfort Companion Gift Set) that comes with a 12” stuffed plush dog named “Owie” and is accompanied with a soothing mini-blanket, custom storybook, a reusable carrying bag, and is personally delivered with a hug. To make giving simple, Owie BowWowie and Friends created a smaller version of Owie, named: Lil’ Owie. Lil’ Owie is 7” of PAWSitively PAWfect plush and he too comes in his own carrying bag. 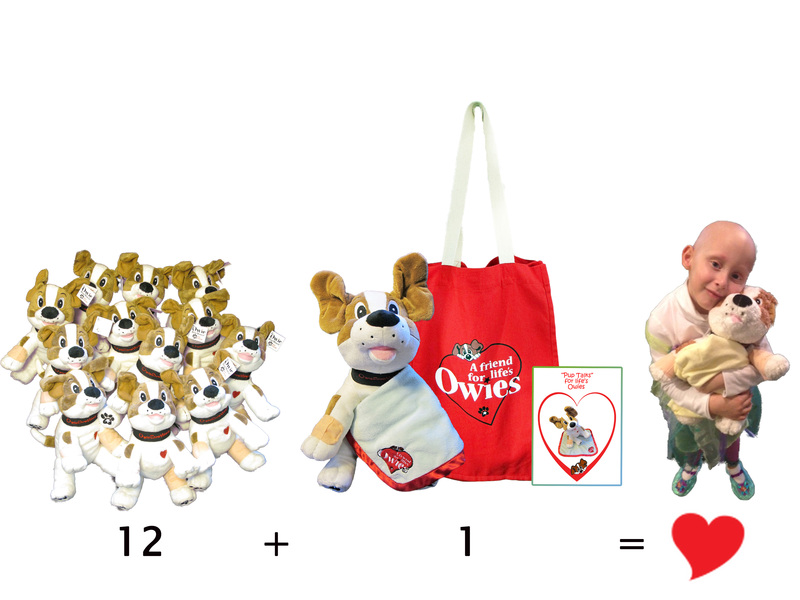 Each time 12 Lil’ Owie’s find a new home a hospitalized child receives an Owie BowWowie Comfort Companion Gift Set. “We believe that Owie BowWowie aligns 100% with our mission, because he is a trusted FURiend, an experienced comforter, respected by children, and we look forward to being able to open the door for the opportunity to give comfort to hospitalized children who are waiting for their “FUR-EVER” FURiend!,” said Barbara Radke.